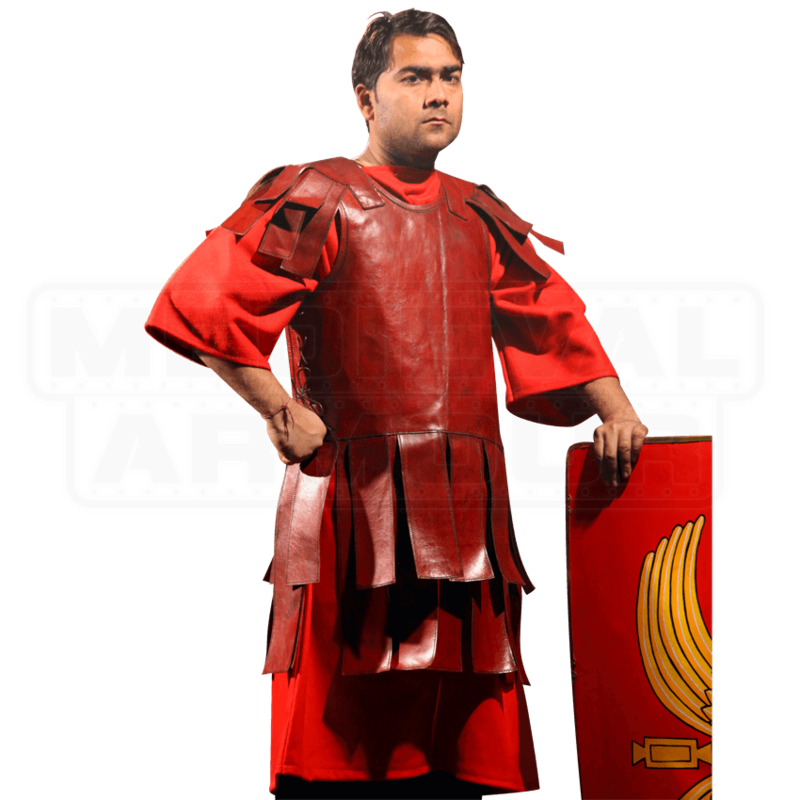 What the padded gambeson was to the knight in shining armor, this Roman Leather Subarmalis was to a legionary in gleaming steel lorica. Designed as a padded under-armor of sorts, this protection was one worn by most armored soldiers in the Legion. An iconic and important part of the legionaries kit, the subarmalis was designed to a secondary layer that helped not only to reduce impacts, but also add more defenses to the legionary, ensuring that even if something did get through the steel or the mail he wore, it would meet leather before it met cloth or flesh. This subarmalis is designed to be supple and comfortable, as well as easy to move around in, featuring short sleeves with squared leather strips at the end, as well as a matching styled hem, which echoes the look of more common Roman belts, war skirts, and tassets. The subarmalis is offered in one single size, but it is offered in large enough size that it can easily fit most with ease. The subarmalis has laced-up ties on the side, as well, to help secure it closed. 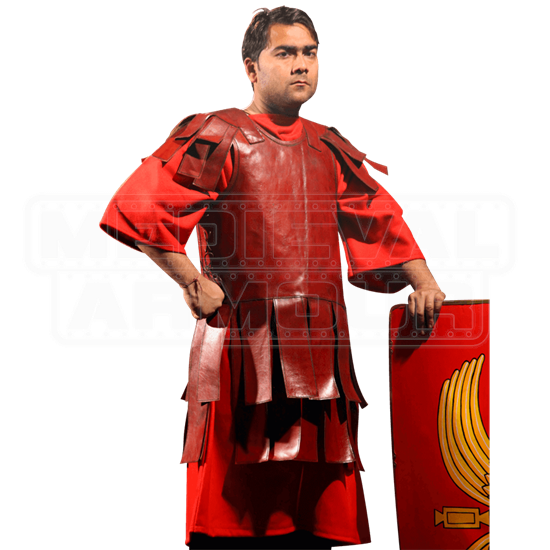 Paired with a red Roman tunic (like the one pictured above, which is not included with the leather armor), you have the perfect basis for building any legionary or auxiliary look, making this Roman Leather Subarmalis a key foundation piece for your next authentic looking Roman warrior look.